Assassin’s Creed Rogue is the Xbox 360, PS3 instalment for this year and features many familiar elements from the series, but with Assassin’s Creed Unity on current gen systems taking the spotlight it’s perhaps easy to overlook the game which is possibly to be the last on the older hardware. The game will also be making its way to the PC next year. Take a look at our Assassin’s Creed Rogue review for the full picture. Today we’re taking a look at the console version of Assassin’s Creed Rogue which is the true sequel to last year’s Assassin’s Creed IV Black Flag and features new hero Shay Patrick Cormac a young assassin who makes his own luck and holds true some deep rooted morals despite the fact he’s a ruthless killer at heart. The game’s story is set around the mid 1700s and intertwines with events from Assassin’s Creed 3 and the current gen Assassin’s Creed Unity. Based on its own merits, there’s a number of nods to past characters embedded within the story, yet aren’t so crucial that those dipping in for the first time will still be able to enjoy the adventure without hindrance. 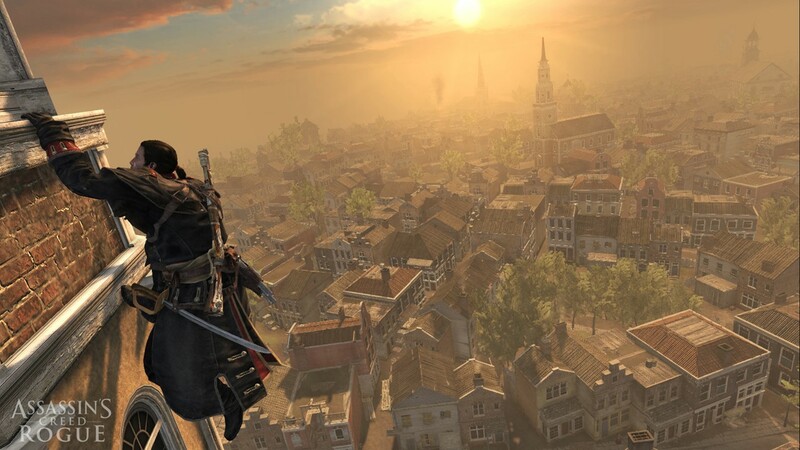 As a brief synopsis, Shay starts the game as a member of the Assassin’s Brotherhood, but after significant events, changes allegiance and as the title suggests goes rogue. However, being free from the shackles of the Assassin order, Shay is presented with an offer from the once opposing Templars and thus his journey of killing his former brothers begins. The story is a lot more engaging than Edward Kenway’s arc from Black Flag although sits within predictable parameters of taking out the order one-by-one in sequence which is a scenario we’ve seen countless times before in popular culture. Shay is a likeable character, who effortlessly follows all of gaming’s male lead character tropes without a care. However, rather than present an elongated campaign rife with repeated action sequences, Rogue offers an assortment of side activities to make up the play time – this is evident due to the relatively short length of the story which features just six sequences or chapters compared to Unity’s 12 for example. 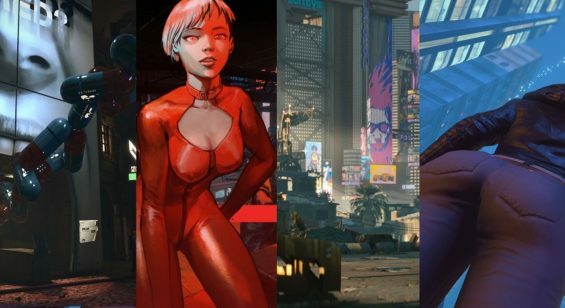 There’s a healthy mixture of variety within the story and its locations and where the game truly excels is in offering some excellent contrasts between environments. Players get to travel to parts of Europe, sail the seas of the colder North Atlantic Ocean and run or jump across the rooftops of New York. Whilst there’s a potent mixture of locales, in some ways the game feels like an amalgamation of successful parts from previous games which also extends to the gameplay. As mentioned, the naval combat and all its trimmings from Black Flag is present once more and is an integrated part of the experience which can’t be avoided. For those who loved it previously will relish the opportunity to sink ships and plunder their cargo for much coin, or build up a fleet for the naval mini game which also returns. Players not so keen can get by with the basics, although it has to be said the end mission requires an upgraded ship otherwise progress is almost impossible. So throughout the game players can dip in out of gathering the parts needed for ship upgrades, but luckily this isn’t restricted to naval encounters where some items can be acquired through other nefarious means. The core stealth and button-mashing counter attack brutal combat gameplay remains the same as last year’s effort with little to no obvious changes in this department, but with an assortment of mission types available – which thankfully ditches the rather dull tailing missions of yore in favour of much more focused events – means it’s all familiar ground. New players will find it easy to jump in to the gameplay equally as it’s fundamentally rather easy to master. 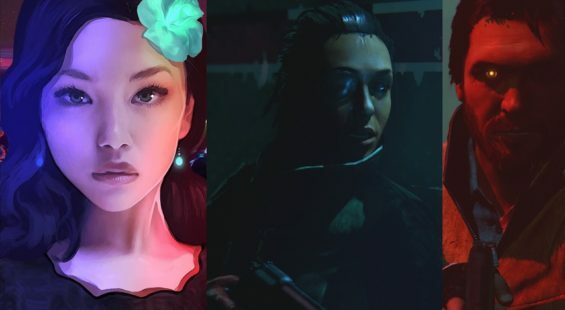 There’s some new elements tossed into familiar actions which include stalker characters and missions where player have to stalk and hunt high profile targets to claim specific economic areas. The stalkers who comprise mostly of female assassins appear across the entire game and can put Shay in a world of hurt when there’s a lot of action going on and they suddenly strike from a rooftop or from concealment within the foliage. Most other times, it’s rather a simple task of using eagle vision to locate them and then blowing them up with the new grenade launcher or putting them to sleep with the rather cool sleep darts. It’s mildly amusing devising various ways to out stalk the stalkers in this regard. The additional gameplay elements are pretty good and utilize features from the versus multiplayer – which sadly is absent in this release. Navigation via free running is also the same and there’s an abundance of collectibles, secret areas and puzzles to fulfil for those going for the complete experience. Presentation wise and Rogue proves that last gen systems can still muster some great looking environments, character models and open play areas. There’s a healthy mixture of organic to man made visual variety which is good, and with the inclusion of the Northern region of the American continent we get to see plenty of snow and ice where for the first time the cold elements make an appearance at sea in the form of icebergs. For the most part, the game maintains a steady frame rate although dips do occur on occasion but not to the extent of being impacting on the gameplay. There are some texture loading issues which appear quite frequently in the populated zones, but again is not something that detracts too much from the visual effect. Audio is of a high standard as expected with excellent music and voice performances that range from accomplished to rather dire. Some characters would have been better with fewer lines of dialogue. In terms of overall length, completing the main story represents less than half of game completion and with a large play area to explore means the hours will pile up for those wanting to get 100 per cent. While there is no multiplayer player mode this time, Rogue is certainly a pure single player experience aside from leader boards which one can use to compare with the wider community. There’s also the interactive element of rating each mission to provide direct feedback to Ubisoft for their future games. Assassin’s Creed Rogue is an accomplished game that borrows from previous instalments to make a definitive experience where players actually feel like an assassin character rather than a bloodthirsty pirate with changing moral standards. The game’s biggest challenge is overcoming familiarity, but due to its excellent mission structure which focuses more on sneaky killing and the arrival of stealth hunter based gameplay makes it well acceptable within the ranks of the other 7 games preceding it. Drenched in some great visuals at times, smooth gameplay mechanics and a massive area to explore means there’s a lot of value on offer. There are some minor technical issues which are expected for a game of this size, but these are easily overlooked and not impacting on the gameplay. If you’re still well glued to your last gen Xbox or PS3, then this is a worthy, fun and likeable addition to the series and well worth checking out for lone players. Those expecting a more progressive game for the series, then sadly this is not it but sits comfortably as a retreading of past glories – which isn’t such a bad thing.